Balloon carrying clowns, camping out at the ‘carpet area’, professional photo opportunities, being fed to explosion, and a night out at the theatre watching 100 years since the Çanakkale victory. 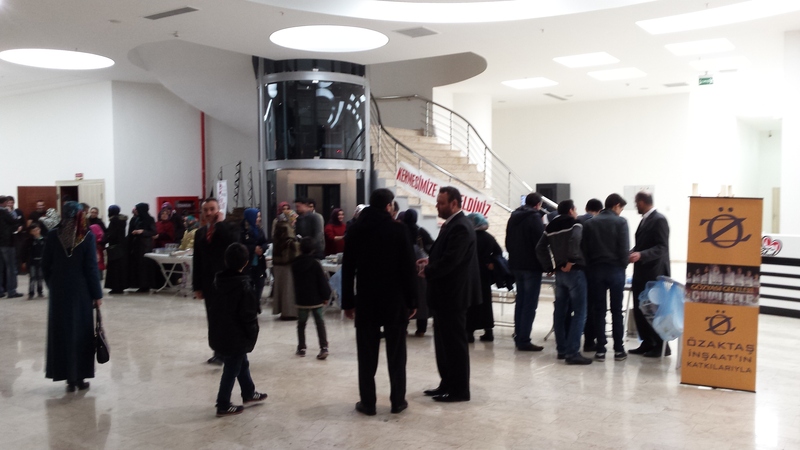 A fantastic roller coaster ride of Turkish hospitality. Love it! It was one of those nights. Lying on our mats in the hall at the local football field (‘carpet area’), James and I looked at each other, our mouths open. We didn’t know where it was all going. 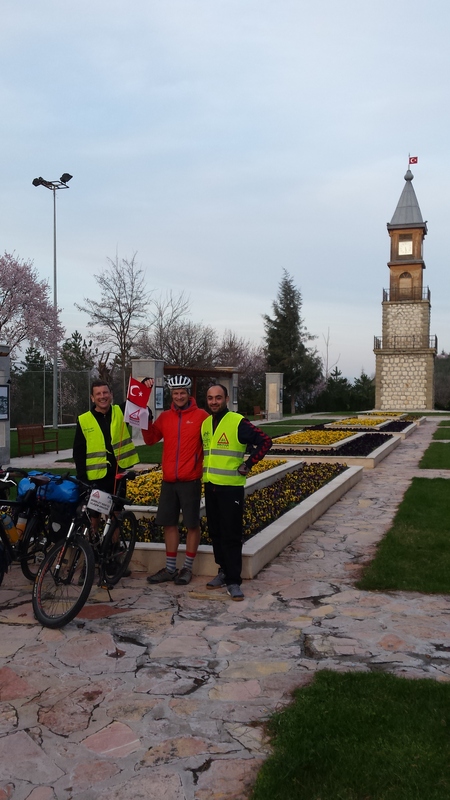 We knew it would be good, being led by our amazing hosts in the town of Bilecik. Zooming down from our first ascent to 600m into the town of Yenisehir, we were greeted by a clown, on the side of the dusty road plied by cement trucks, holding a bunch of colourful balloons. 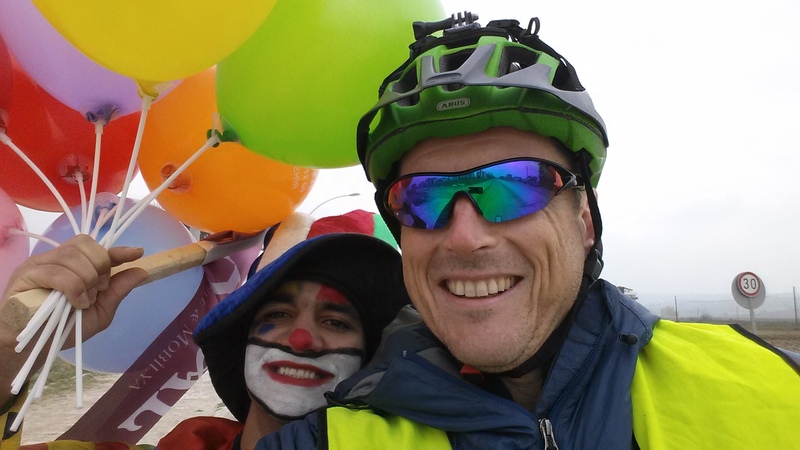 I stopped, and the clown took a selfie with both of us. Why was he there, I hear you ask.. Zooming down from our second ascent, this time from 700m into the town of Bilecik, we were greeted by 2 young men in fluorescent yellow safety vests next to bikes, the Turkish flag fluttering above the bikes in the breeze. 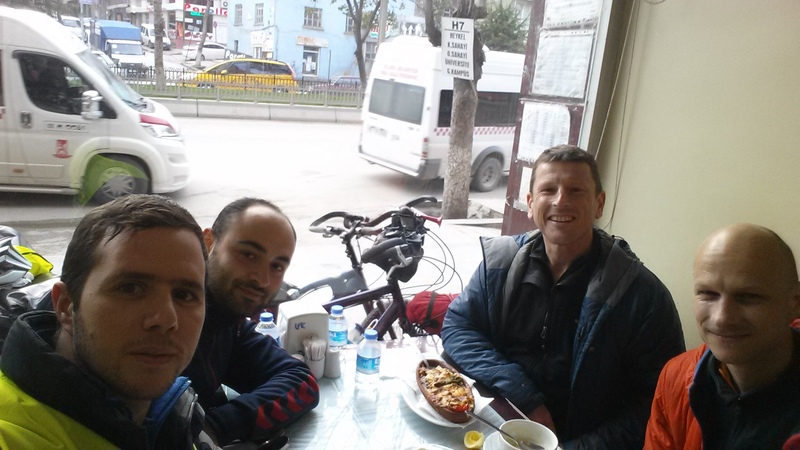 We had been in touch with Hakan through warm showers. 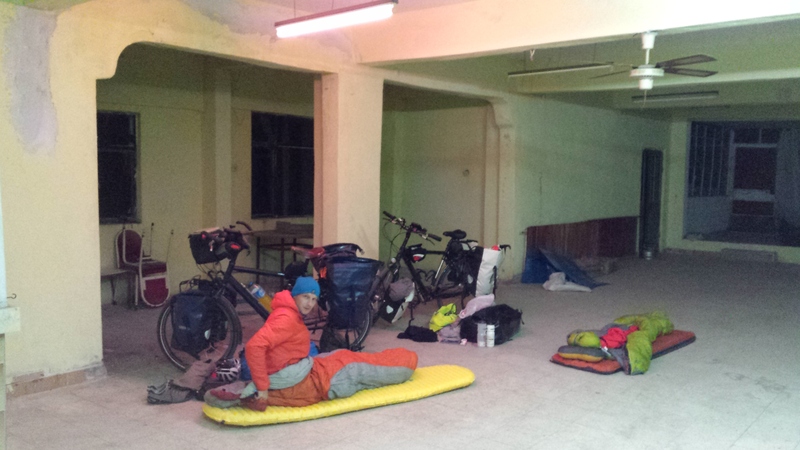 The food was delicious and copious – perfect for hungry cyclists. We were shown the gardens of the town hall where we were photographed by a photographer – for the local newspaper perhaps? The Bilecik Facebook page? 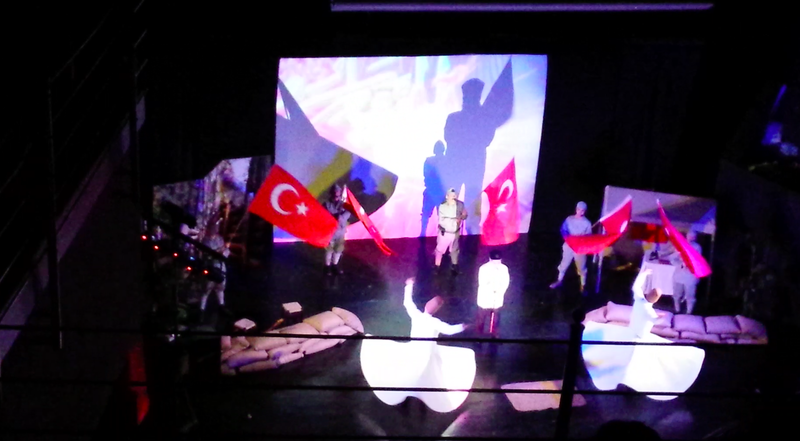 No idea..
Tonight was a performance on 100 years of Çanakkale – a terrible battle at Gallipoli – equally horrific for our Turkish hosts and the ANZACS as we were called (Australian and New Zealand Army Corps – which James and I were representing). Here 250,000 Turks, Australians, New Zealanders, French and British died in a blood bath for access to the thin straights of water connecting the Mediterranean to the Black Sea. I saw the battle fields first had last year by bike. Perched at the back of the theatre looking down, we saw the play – video combination of fighting at Çanakkale. At the break James was thrust a phone into his hand. It was a journalist. A lot of young people were killed in a horrible war. Here is the newspaper article. What a day – and night. Not speaking Turkish, one can only go with the flow, knowing that whatever happens, with our lovely hosts, it will all be good. Great to hear that you have recommenced your great adventure. Be sure to celebrate your birthday in true Turkish style. Many happy returns for March 21. May this be a birthday to remember. Bedankt! De kracht is weer terug gekomen. Mijn posts zijn (bewust) vertraagt en ik ben nu veel verder – bijna bij de zwarte meer kust.